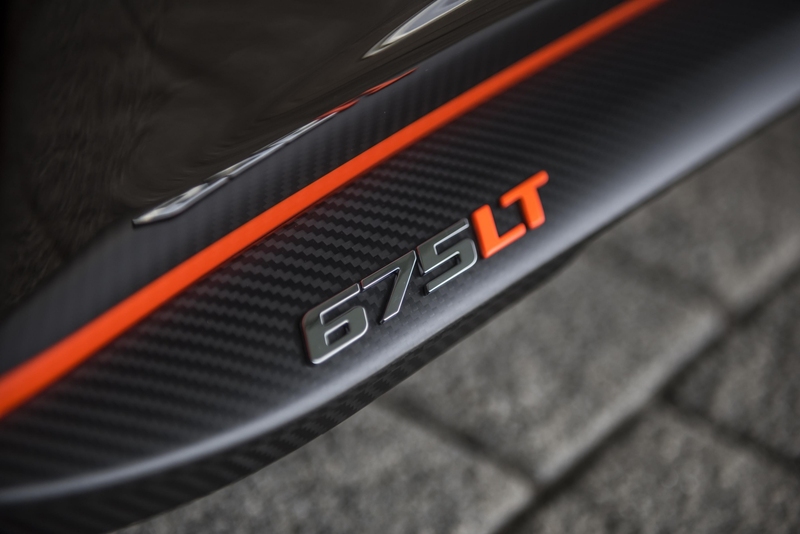 The McLaren 675LT, the track-focused iteration of the McLaren 650S, is nothing short of spectacular. But for a price Mclaren will add a good amount of customization to make it even more dramatic and exclusive. 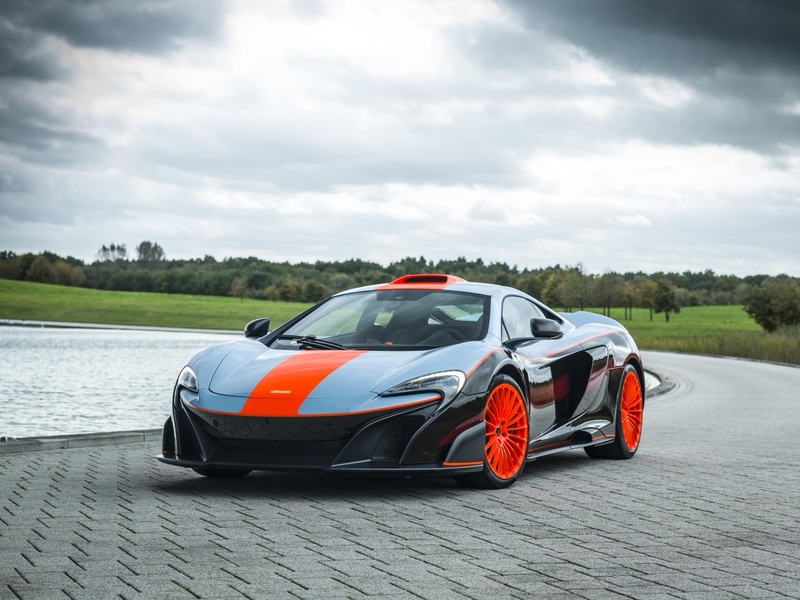 Recently, the McLaren Special Operations team created a bespoke 675LT that pays homage to the legendary McLaren F1 GTR, a car that excelled in endurance racing in the 1990s, winning the 1996 BPR Global Endurance Series and GT1 Class at the 24 hours of Le Mans, the following year. MSO answered the customer request by creating a McLaren 675LT dressed in that famous racing livery with a few bespoke features. Gulf Oil International Ltd agreeing to the use of its famous racing livery was probably the easy part, considering the project took more than 1,000 hours to complete, a total of 800 hours was dedicated for the paintwork alone. For those who may not know, the Gulf Racing colors that adorn the 1997 McLaren F1 GTR "Longtail" race car consist of light blue, black, and red hues. 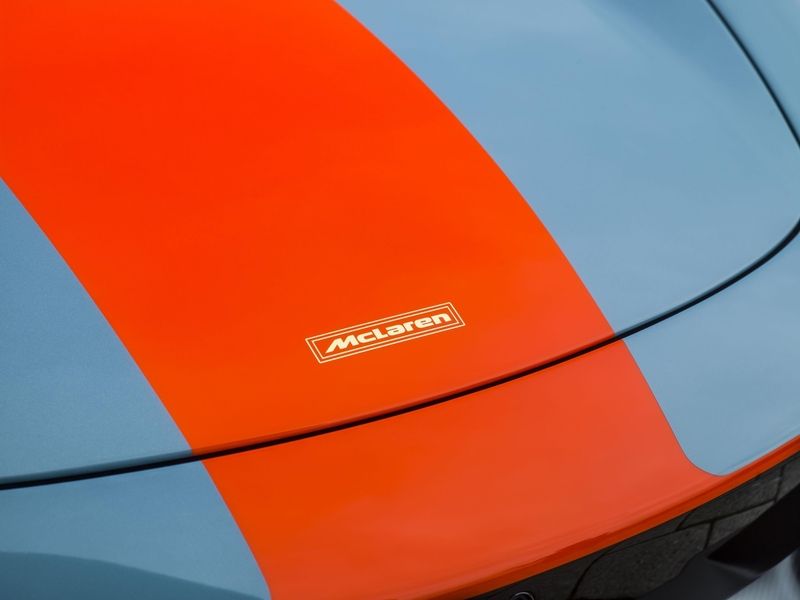 The trademark Dayglo Orange has also been featured as a stripe along the center and on the 20-spoke alloy wheels. The same orange is used for sill badges that bear the customer’s initials. The car is fitted with louvered front wings, roof scoop upgrade, and carbon fiber airbrake from the MSO range of options, all featuring body color paint. The car’s cabin was also designed to be congruous with both the exterior theme and personalization demands. Inside, you find bespoke racing seats finished in Carbon Black Alcantara with orange and blue contrast stitching, with the owner's initials embroidered in blue on the headrest. 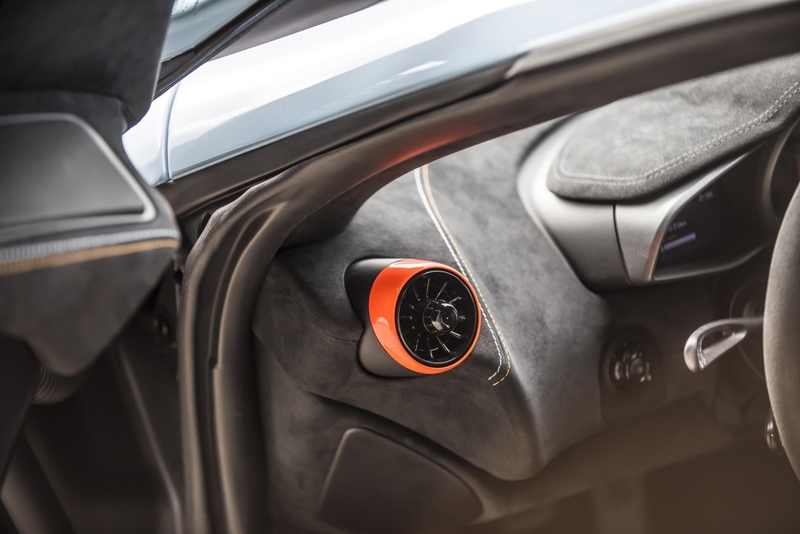 The handling and powertrain bezels on the Active Dynamics Panel are finished in Gulf Blue, while the seat belts, air vent, and stop-start button surrounds are in Gulf Orange. However, no changes have been made to the powertrain. 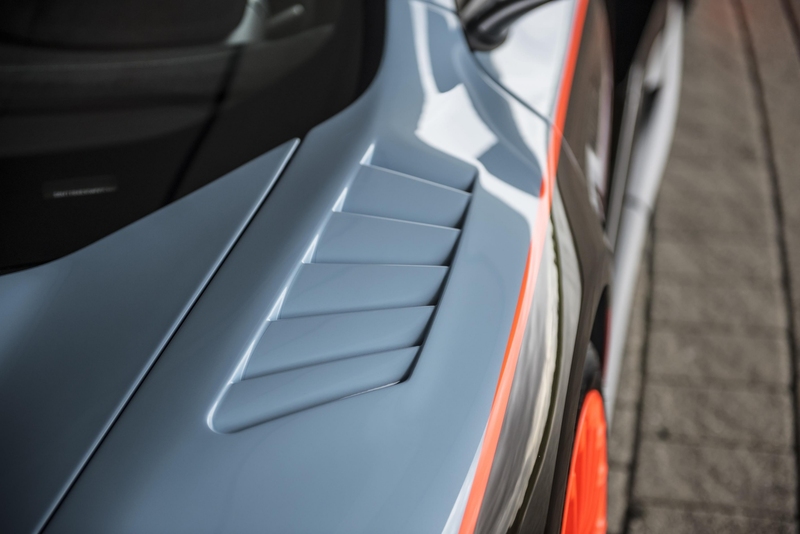 This bespoke 675LT will still be using the twin-turbo McLaren V-8 engine, capable of producing up to 666 horsepower and 516 pound-foot of torque. It can accelerate from a standstill to 62 mph in a mere 2.9 seconds and reach a top speed of 205 mph. 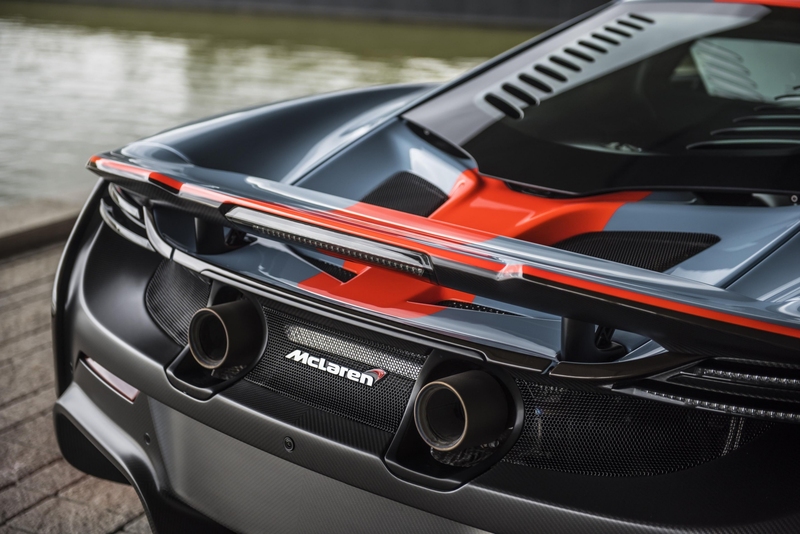 As you'd know Mclaren is no stranger to customization and limited-run models. Earlier this year, the sportscar company revealed the McLaren MSO X, also inspired by the company's motorsport heritage. And we expect to see more from the British house of speed in the future. We brought it to the Petersen Museum, in Los Angeles, to be amongst its world-beating peers. This is the first Longtail to ever win a race, and also one of the only examples that can be driven on the street. Bill Auberlen thrashes a McLaren F1 GTR at a track day around New Jersey Motorsports Park.